"Awesome. He Was Very Thorough, Explained Everything Simply, Cleaned Up After Himself And Was Very Efficient." "Explained What Need To Be Done And The Legal Requirements For Landlaords"
"Very Polite And On Time"
"Fast And Efficent Information And Sevice. 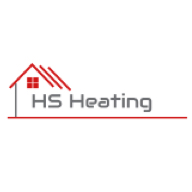 Friendly And Knowledgable"
Need a Heating Engineer in Tipton?